When you’re late to a party, you can either slip in unnoticed or make a splash. Hyundai has chosen to do the latter, entering the fast-growing small SUV market with a car that aims to turn heads with its bold styling. Not that the new Kona’s rivals are themselves a particularly frumpy lot. For example, the Nissan Juke, Renault Captur and new Citroen C3 Aircross – a car offering a bewildering 85 colour combinations – are certainly no shrinking violets. The Kona can’t manage 85 combinations but does offer 28. At the same time, it’s that bit more muscular looking thanks to plastic cladding on its lower body that suggests a little light off-roading might be possible. Inside, there’s a well-judged mix of soft-touch materials and harder, more durable plastics lower down. This is a welcome feature considering how may rivals, the stylish Aircross included, seem to get it wrong. The dark colours of the seats and surfaces are a little dull, so the colour accents on the air vents and seat piping are welcome – as are the coloured seatbelts in some versions. So far, generally so stylish, but away from the catwalk a compact SUV must prove itself to demanding buyers who expect it to get those rather more mundane things like a spacious and practical cabin, low running costs and engaging driving manners right. Regarding the first point, Hyundai’s designers have made a good fist of creating a sense of space in the Kona’s cabin. It doesn’t feel cramped, even in the rear, where most adults will be able to sit without having to hunker down. The 361-litre boot isn’t as big as the Seat Arona and Citroen C3 Aircross, but it will probably be acceptable for many buyers. There are five trim levels, which is about par for the class. Equipment levels are good – even basic S trim has 16-inch alloy wheels, a 60/40 split folding rear seat, air conditioning and a digital radio. It’s another area in which the Kona aims to seduce, but that’s before you drive it. No small SUV is exactly thrilling to drive but models such as the Seat Arona at least prove they don't have to be dull and uninvolving. Unfortunately, the Kona is just that but on the flipside, it’s grippy, composed and reasonably comfortable. In short, it's safe and unexceptional – better to drive than the Nissan Juke but not as accomplished as the Seat Arona. There are currently only two engines to choose from (both petrols) but the 1.0-litre unit that will be the choice of most buyers is fairly brisk, serving up 0-62mph in 12.0 seconds. You have to work it hard to achieve that but go easy and you should see around 50mpg, which is competitive. If you want a diesel and the kind of 75mpg economy some rivals such as the Renault Captur offer, you’ll need to took elsewhere. Intriguingly, the Kona will be available with an all-electric powertrain in 2018, which will make it the only car in its class to have an EV variant. Price and range will be key to its success. The Kona is a good car and worthy of consideration if you’re in the market for a small SUV. It’s not the best-in-class in any particular department, but it’s an accomplished contender and has just enough plus points (its bold design and five-year warranty spring to mind) to commend it. The smaller, turbocharged three-cylinder engine is the more economical option, with an official fuel consumption figure of 52.3mpg and CO2 emissions of 117-125g/km, depending on the trim level and wheel size buyers opt for. The larger four-cylinder 1.6 engine has a much higher output than the 1.0-litre unit, which accounts for the lower 0-62mph time of 7.8 seconds. There are just two engine options, a 1.0 T-GDi, which will be the choice of most buyers, and a 1.6 T-GDi that comes with four-wheel-drive. The 1.0 T-GDi engine is mated to a six-speed manual transmission, while the 1.6 T-GDi gets a seven-speed dual-clutch automatic. The Kona is available with five trim levels, which add standard equipment as the price increases. Hyundai is keeping things simple with the Kona, offering just two engine options. The engine that will comprise the vast proportion of sales (around 98%) is the ‘base’ 1.0 T-GDi, a turbocharged three-cylinder that produces 120PS. Its 52.3mpg is about par for the course for the segment, but the CO2 emissions of 117-125g/km (depending on wheel size) are ever so slightly higher than class leaders. Performance is absolutely fine – in fact, it feels nippier than the 12-second 0-62mph time suggests – and will suit most drivers perfectly well. As with most three-cylinder engines, you have to maintain the revs to above 2,000rpm to get the most out of the engine, but you will then pay the price in lower fuel economy. That said, the same can be said of most of its rivals and it’s not obviously outclassed. The 1.6 T-GDi four-cylinder engine will be a choice of a small minority, as it comes with four-wheel drive and a seven-speed dual-clutch automatic gearbox. It offers considerably – and tangibly – greater performance, thanks to its 177PS output and 7.9-second 0-62mph time. The automatic gearbox is fine as long as you’re not expecting lightning-fast changes (and, in fairness, most buyers won’t be). Real world fuel consumption of 34.5mpg is nothing to write home about – the same goes for the 153g/km CO2 emissions – but neither is it outrageous when you consider that there’s an all-wheel-drive system to contend with. Buyers can choose from five trim levels. The base S trim comes with 16-inch alloy wheels, body coloured bumpers, door handles and door mirrors, as well as rear spoiler with integrated LED brake light, height-adjustable driver’s seat, 60/40 split folding rear seat, air conditioning, automatic headlamps with LED positioning lamps and LED daytime running lamps, cruise control with speed limiter, electrically adjustable and heated door mirrors, electric windows, DAB, Bluetooth, 5-inch LCD centre console display, six speakers, USB and AUX connections, steering wheel controls for audio, telephone and cruise control operation. Next up is the SE, which adds 17-inch alloys, roof rails and fog lamps, leather-wrapped steering wheel and gear knob, electrically adjustable driver’s seat, rear parking sensors and rear camera, and a 7-inch touchscreen centre console display, which includes smartphone integration with Apple CarPlay and Android Auto. Moving up to Premium trim, buyers receive, on the exterior, 18-inch alloys, chrome surround to the black front grille, Anthracite finished side body garnish, and silver rear skid plate and side body mouldings. Also included is climate control with automatic defog function, automatically dimming rear view mirror, automatic windscreen wipers, Smart Key with keyless entry and engine start/stop button, premium audio system, 8-inch touchscreen centre console display with satellite navigation, and a wireless phone charging pad. Premium SE adds leather seat facings, with electrically adjustable driver and passenger seats with heating and ventilation, heated steering wheel, rear centre arm rest, power folding door mirrors, front parking sensors, head up display (HUD), which projects relevant (and customisable) information on to an 8-inch screen that lowers into the dashboard when not in use, and is fully adjustable for both angle and height for optimum visibility for all drivers. The range-topping Premium GT (only available on cars fitted with the 1.6 T-GDi engine and four-wheel drive) adds full LED headlamps with High Beam Assist and static bending function, LED rear tailamps, a driver’s supervision instrument cluster with 4.2” LCD multifunction screen, and a Safety Pack that includes Autonomous Emergency Braking with pedestrian recognition. The Kona was launched after the publication of the 2017 Auto Express Driver Power survey, so it doesn’t make an appearance in the list of most reliable cars. Other Hyundai models do appear in the table of the 75 most popular cars, with the Tucson the highest (in 17th place). Hyundai also ranks 10th among the most reliable manufacturers. The Kona has a five-year warranty – that also includes five years of roadside assistance and five annual vehicle health checks – which is only bettered in the class by the seven-year warranty of the Kia Stonic. The Kona is still a relatively new car, which means there aren’t a huge number on the used market. 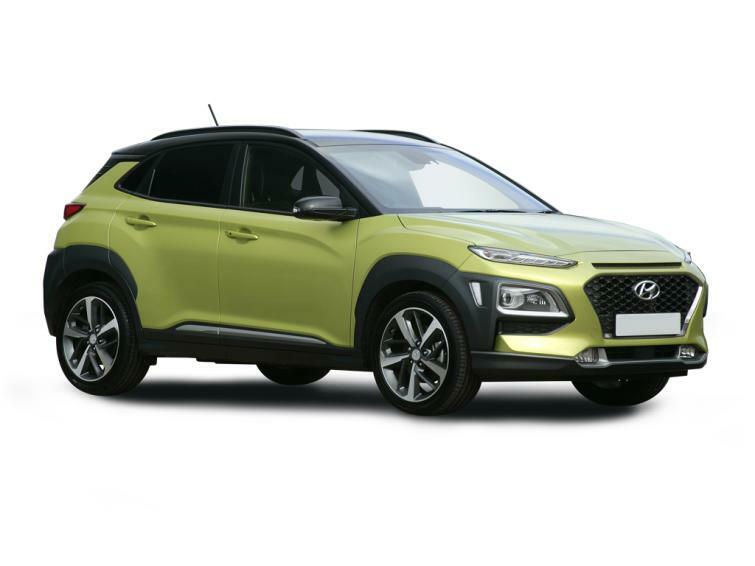 The popularity of the small SUV segment – allied to Hyundai’s (transferable) five-year warranty package – should, however, ensure that there are plenty of interest in second-hand cars. With that in mind, we’ve seen Premium models with the 1-litre engine being offered at around £17,500 - about £1,500 off the recommended retail price. Kona is handsome in the metal, and muscular looking thanks to plastic cladding on the lower part of its exterior. It has 28 colour combinations on offer too. The Kona is better to drive than a Nissan Juke, but not as involving as a Seat Ateca. It's safe and dependable, but not overly enjoyable. There are currently only two engines to choose from (both petrols) but the 1.0-litre unit that will be the choice of most buyers is fairly brisk, serving up 0-62mph in 12.0 seconds. You have to work it hard to achieve that but go easy and you should see around 50mpg, which is competitive. The Hyundai's interior isn't quite as interesting to look at as its muscular exterior. Equipment levels are good though – even basic S trim has air conditioning and a digital radio. Base S Trim comes with USB and AUX connections, and SE trims get upgraded to Apple CarPlay, as seen here. This allows you to control apps such as music and navigation via the car's touchscreen. The rear is compact, but most adults will be able to sustain long trips in the back. Kids have plenty of room and good sized windows to peer out of. The 361 litre boot is smaller than rivals such as the Seat Arona and Citroen C3 Aircross. However, it does offer 1,143 litres' worth of space with the rear seats folded.